. "Mayann Elizabeth Francis". The Canadian Encyclopedia, 04 March 2015, Historica Canada. https://www.thecanadianencyclopedia.ca/en/article/mayann-elizabeth-francis. Accessed 23 April 2019. Upon her return to Canada, she worked in a variety of senior public service positions including director and chief executive officer of the Nova Scotia Human Rights Commission (1999-2006) and provincial ombudsman (2000-03), the first woman to hold that position. 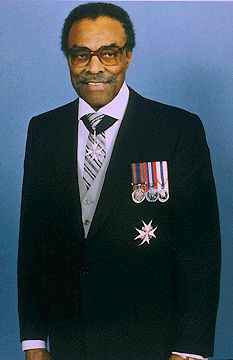 The Honourable Mayann E. Francis, lieutenant-governor of Nova Scotia, 2006 to present (courtesy Office of the Lieutenant Governor of Nova Scotia). Mayann Elizabeth Francis, public servant, human rights specialist, lieutenant-governor of Nova Scotia (b at Sydney, NS). Francis, one of 7 children of an archpriest of the African Orthodox Church, grew up in Whitney Pier, a multicultural and working-class district of Sydney, Nova Scotia. As a Black woman, Francis was aware of inequality and racism. She began her lifelong work of advancing diversity and equality as a human rights officer with the Nova Scotia Human Rights Commission after obtaining an Arts degree from Saint Mary's University (1972). She then spent 16 years in the United States working and continuing her education, including a Masters in Public Administration (1984). Upon her return to Canada, she worked in a variety of senior public service positions including director and chief executive officer of the Nova Scotia Human Rights Commission (1999-2006) and provincial ombudsman (2000-03), the first woman to hold that position. She addressed human rights issues in a regular column for the Chronicle Herald (2004-06). In 2006 Francis was appointed Nova Scotia's 31st lieutenant-governor. She became the first Black Nova Scotian and only the second Black person in Canada (Lincoln Alexander was the first) to hold this office. She was installed on 7 September 2006. Mayann Francis has been recognized for her contributions and achievements with the Golden Jubilee Medal (2002), Harry Jerome Award (2000) and Silver Plaque Award from Nova Scotia Human Rights Commission (1974).